Mirroring the same expeditious manner that saw its $13.7 billion acquisition of Whole Foods zip through the FTC’s express lane, Amazon is already following through on promises to slash prices at the notoriously upscale supermarket. 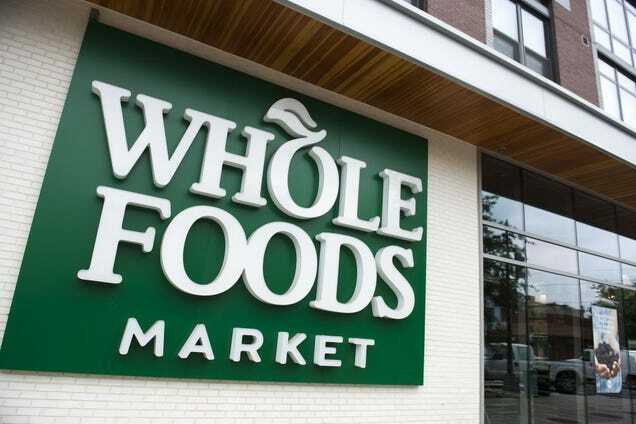 According to Bloomberg, some prices went down as much as 43 percent on Amazon’s first day of Whole Foods ownership. Organic baby kale saw only a 13 percent decrease, but fans of organic Fuji apples were reaping the benefits of a 43 percent price drop (per pound). Bloomberg found this new pricing structure at a Manhattan Whole Foods location, which also had a 29 percent reduction on the price of individual avocados, so millennials can eat themselves out of house and home a little slower going forward. Also in store, “animal-welfare-rated 85% lean ground beef” and “responsibly-farmed Atlantic salmon filet” were both marked down nearly 30 percent, suggesting that the “Whole Paycheck” moniker would quickly become a thing of the past. But not so fast—Amazon is now hawking its Echo and Echo Dots among the probiotics and artisanal reads, so your weekly grocery bill could very well still end up in the quadruple digits. Competitors like Wal-Mart have already responded to the discount push, with Bloomberg reporting that the Arkansa-based retail giant has “revamped” its produce display design in addition to lowering prices. And thanks to its membership model and limited selections, retailer Costco has kept its own line of organic items priced 30 percent lower than Whole Foods. But again, it’s only been a day since Amazon officially took over Whole Foods operations, so the price war could just be heating up.